Mournspire's powerful debut will take you to a place of infinite sorrow and unfathomable anguish. 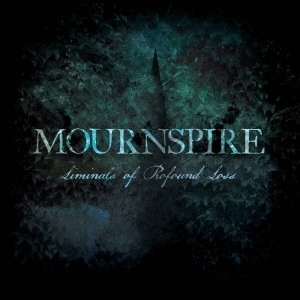 The independently released 'Liminals of Profound Loss' sees Fairfax, Virginia's Mournspire unleash their debut album. A two-man outfit, vocal and musical duties are divided between Drew Nowak and Ed Bacon. 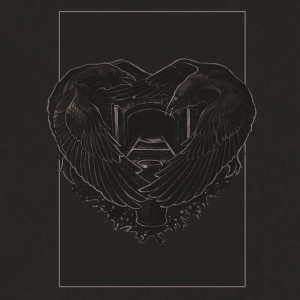 Between them, they create a dark, extremely melancholy cacophony of sorrowful Doom that is heavy on melody and atmosphere, and features a combination of clean vocals, spoken word delivery and harsh death growls. And it really is rather good. As one may expect from a band with such a gloomy - albeit cool - sounding name, this is not a cheerful album, even by Doom standards. 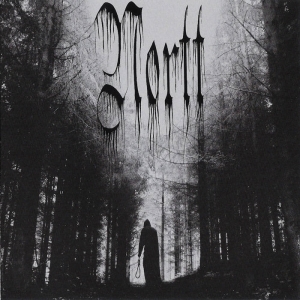 Lyrically and musically, it's a bleak and barren journey; a howl into an unforgiving abyss. And all the better for it. Opener, 'An Empty Storm is the End' sets the tone quickly, striking a despondent note from the off. "Lost is my heart, Lost is my soul/May deserts bury me" laments Drew in a haunting spoken word passage early in the track. Soon, however, the pace picks up substantially with a crushing Doom riff and some frenetic death growl vocals. With changes in tempo, varied vocal styles and some judiciously applied synth effects, it's an interesting start to the album with some real depth. Follow up, 'Throes', is similarly bereft of hope, and draws the listener further into Mournspire's dark world of despair and lamentation. Ferocious death growls are this time counterpointed by some jagged, haunting keyboard effects. And so the album progresses; deeper and deeper into a cavernous Doom soundscape filled with anguish, foreboding and regret. Often, as I listened to the album in preparation for this review, the sun blazed in an unblemished sky, birds twittered happily, and the savoury smell of barbecues wafted through my open window; yet within the confines of my living room, as 'Liminals of Profound Loss' bellowed from my long-suffering, Doom-addled speakers, it felt chill as a Hebridean January. Such is the bleak power of Mournspire's mournful debut. On an album of many highlights, it's difficult to single out individual tracks, but 'The Truest of Lamentations' (and it is), is worthy of particular note. String effects create a bleak, mournful soundscape – a world without even the tiniest crumb of comfort - as a brutal Doom riff assaults the senses and Drew unleashes what is probably the most ferocious vocal performance on the album. It's not all rage, though; there's a clean vocal passage that's both haunting and moving, before the track comes to a plaintive instrumental close with the sound of lapping water. 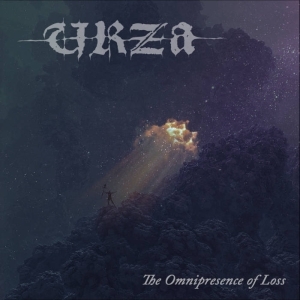 If you like your Doom to take you to a place of infinite sorrow and unfathomable anguish; a world of regret, mourning for the one that got away, and a lifetime of squandered chances, then 'Liminals of Profound Loss', a fine debut, is an album you should investigate. It will provide a comforting fix of chill and darkness during this most clement of seasons.